Every day, surgical procedures are expertly administered by highly qualified surgeons across the country and more often than not, the surgery will go smoothly and make the patient better. Sadly, however, sometimes complications will arise and when they do they can be very serious indeed. 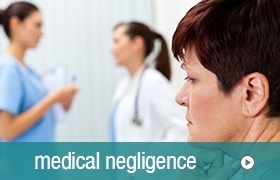 Should you or your loved one suffer a brain injury as the result of a medical professional’s negligence it will undoubtedly be a very distressing time for you and your family. If an anaesthetist makes a mistake during surgery, patients can suffer very serious injuries indeed and brain damage or strokes are among the most serious of them all. Brain damage is caused during surgery by a failure to monitor a patient’s breathing properly when they are under anaesthetic. This leads to a lack of oxygen being transferred to the brain and will leave the patient in distress. When we go in for surgery, medical professionals have what is called a duty of care, meaning that they are responsible for the patient’s health during the entire surgical procedure. Should they fail in this duty, this is classed as clinical negligence. If you or your loved one has suffered a brain injury due to surgery and you don’t know where to turn, we can help you to determine your legal position. We understand that this will be an incredibly difficult time for you and your family and our highly experienced and knowledgeable solicitors will act with the utmost compassion. Please call us free on 0800 122 3130 to talk through your individual case or if you prefer, you can contact us online.